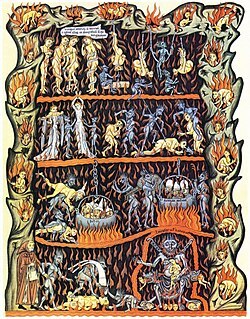 What do you think of the essence of Hell? Hell is when the depths come to you with all that you no longer are or are not yet capable of Hell is when you can no longer attain what you could& attain. That is the ambiguity of the God: he is born from a dark ambiguity and rises to a bright ambiguity. Equivocalness simplicity and leads to death. But ambiguity is the way of life.